After nearly 60 years and a lot of stairs and squares, there is finally an easier way to draw on an Etch A Sketch®. 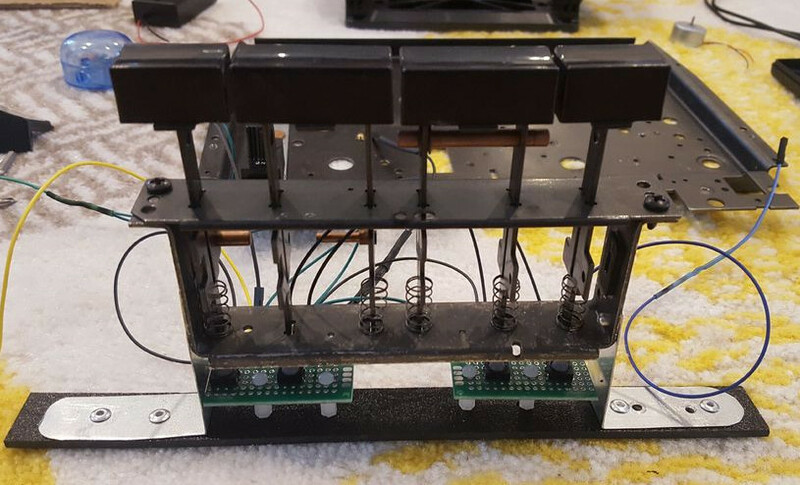 For their final project in embedded microcontroller class, [Serena, Francis, and Alejandro] implemented a motor-driven solution that takes input from a touch screen. Curves are a breeze to draw with a stylus instead of joysticks, but it’s still a 2-D plotter and must be treated as such. The Touch-A-Sketch system relies on the toy’s stylus starting in the lower left hand corner, so all masterpieces must begin at (0,0) on the knobs and the touch screen. The BOM for this project is minimal. 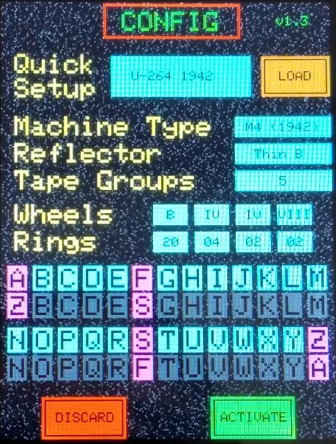 A PIC32 collects the input coordinates from the touch screen and sends them to a pair of stepper motors attached to the toy’s knobs. Each motor is driven by a Darlington array that quickly required a homemade heat sink, so there’s even a hack within the hack. The team was unable to source couplers that could deal with the discrepancy between the motor and knob shaft sizes, so they ended up mounting the motors in a small plywood table and attaching them to the stock knobs with Velcro. This worked out for the better, since the Etch A Sketch® screen still has to be reset the old-fashioned way. They also considered using belts to drive the knobs like this clock we saw a few years ago, but they wanted to circumvent slippage. Pour another glass of your aunt’s high-octane eggnog and watch Touch-A-Sketch draw something festive after the break. We’re slowly moving in the direction where everyone will have a touch screen desk like in the 1982 TRON movie or in the 1987 Star Trek: The Next Generation series with its ubiquitous touchscreen starship controls. [FFcossag] lucked into that future when a local company offered him an industrial 42″ multitouch PC that they were throwing out. A few hacks later and he has us all suitably envious. Before hacking away though, he had to take care of some magic smoke. The source of this turned out to be yellow goop on the PC’s power supply that had turned conductive across a resistor. Cleaning it fixed the problem. Moving on to the hacks, he added brightness control by using a potentiometer to control the power to the backlight. Be sure to watch carefully in the video below where he’s attaching a magnet and cord to the potentiometer, and encasing it all in epoxy. At that point, we’re pretty sure we see him spin up a hard drive platter with a sandpaper disk attached to it, forming a bench top disc sander and making us like this hack even more. He also replaced a small speaker with a larger speaker and amplifier, giving a volume and sound quality difference that’s like night and day. He also added a breakout board with relays for power management, eliminating a seven watt continuous draw when in standby mode.